A chic new lip accessory has just arrived in stores, right in time for fall's opulent fashion. It's Yves Saint Laurent's Rouge Pur Couture Vernis à Lèvres Glossy Stain. 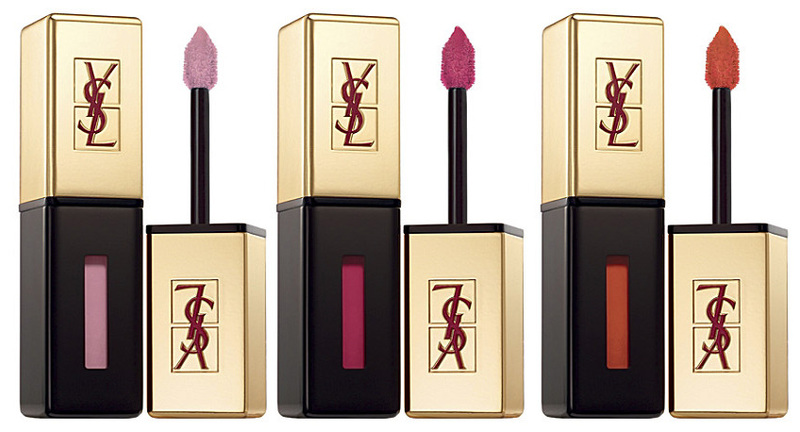 With its luxurious gold packaging graced with the iconic red YSL letters, Yves Saint Laurent is striking big by introducing a unique product in the lip color market. Is it a gloss, a lipstick or a lip stain? It might just be all of the above. When first applied to the lips, the product has a wet texture similar to a lip stain. You could decide to apply only one coat for a sheer effect but I usually apply two to achieve a more intense look. At this stage, you may want to wait at least a minute before applying the second coat to let the product settle. After the second application, it's best to resist the urge to press your lips together in order to help the color melt on the lips. That's when the magic happens: the color fully reveals itself and it suddenly appears extremely glossy, without being sticky. The final result is quite impressive! It's reminds me of a creamy lipstick, it has an amazing staying power and an elegant shine, what's not to like! Now a few words about my favorite shades. For everyday life, I am particularly fond of Corail aquatique, which is a very wearable coral with a warm pink undertone. 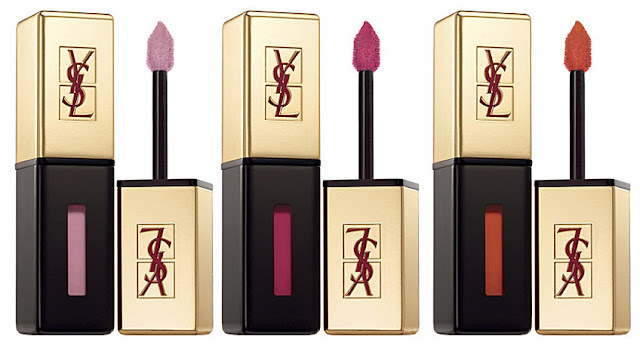 And for a glamorous evening look, I prefer Rouge Gouache, a deep raspberry red since "Les lèvres parisiennes sont rouges ("Parisian lips are red"), as stated by YSL's Creative Director for Makeup, Lloyds Simmonds. If you are interested to discover how the Vernis à Lèvres was put together, watch this whimsical animated short film.